Americans experimented with many new customs and social traditions during the nineteen twenties. There were new dances, new kinds of clothes and some of the most imaginative art and writing ever produced in the United States. But in most ways, the nineteen twenties were a conservative time in American life. Voters elected three conservative Republican presidents: Warren Harding, Calvin Coolidge and Herbert Hoover. And they supported many conservative social and political policies. KAY GALLANT: One such policy concerned immigration. 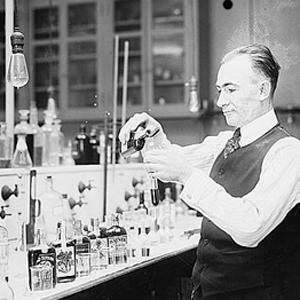 Most Americans in the nineteen twenties had at least some ties through blood or marriage to the first Americans who came from Britain. Many people with these kinds of historic ties considered themselves to be real Americans, true Americans. Americans traditionally had welcomed newcomers from such western European countries as Britain, France, or Germany. But most of the people arriving in New York City and other harbors in the nineteen twenties were from the central, eastern and southern areas of Europe. Some Americans became afraid of these millions of people arriving at their shores. They worried that the immigrant newcomers might steal their jobs. Or they feared the political beliefs of the immigrants. HARRY MONROE: Pressure to control immigration increased following the world war. Congress passed a bill that set a limit on how many people would be allowed to enter from each foreign country. 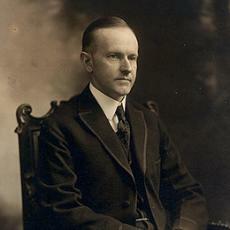 And, the Congress and President Calvin Coolidge agreed to an even stronger immigration law in nineteen twenty-four. Under the new law, limits on the number of immigrants from each foreign country depended on the number of Americans who had families in that country. For example, the law allowed many immigrants to enter from Britain or France, because many American citizens had families in those countries. But fewer people could come from Italy or Russia, because fewer Americans had family members in those countries. The laws were very difficult to enforce. But they did succeed in limiting the number of immigrants from certain countries. KAY GALLANT: A second sign of the conservative feelings in the nineteen twenties was the nation's effort to ban the sale of alcoholic drinks, or liquor. This policy was known as Prohibition, because it prohibited -- or banned -- alcoholic drinks. Many of the strongest supporters of Prohibition were conservative Americans living in rural areas. Many of them believed that liquor was evil, the product of the devil. A number of towns and states passed laws banning alcohol sales during the first years of the twentieth century. And in nineteen nineteen, the nation passed the eighteenth amendment to the federal constitution. This amendment, and the Volstead Act, made it unlawful to make, sell or transport liquor. HARRY MONROE: Prohibition laws failed terribly from the start. There was only a small force of police to enforce the new laws. And millions of Americans still wanted to drink liquor. It was not possible for the police to watch every American who wanted to buy a drink secretly or make liquor in his own home. Not surprisingly, thousands of Americans soon saw a chance to make profits from the new laws. They began to import liquor illegally to sell for high prices. Criminals began to bring liquor across the long, unprotected border with Canada or on fast boats from the Caribbean islands. At the same time, private manufacturers in both cities and rural areas began to produce liquor. And shop owners in cities across the country sold liquor with little interference from local police. By the middle of the nineteen twenties, it was clear to most Americans that Prohibition laws were a failure. But the laws were not changed until the election of President Franklin Roosevelt in nineteen thirty-two. KAY GALLANT: A third sign of conservatism in the nineteen twenties was the effort by some Americans to ban schoolbooks on modern science. Most of the Americans who supported these efforts were conservative rural Americans who believed in the traditional ideas of the Protestant Christian church. Many of them were fearful of the many changes that had taken place in American society. Science became an enemy to many of these traditional, religious Americans. Science seemed to challenge the most basic ideas taught in the Bible. The conflict burst into a major public debate in nineteen twenty-five in a trial over Charles Darwin's idea of evolution. HARRY MONROE: British scientist Charles Darwin published his books "The Origin of the Species" and "The Descent of Man" in the nineteenth century. The books explained Darwin's idea that humans developed over millions of years from apes and other animals. Most Europeans and educated people accepted Darwin's theory by the end of the nineteenth century. But the book had little effect in rural parts of the United States until the nineteen twenties. William Jennings Bryan led the attack on Darwin's ideas. Bryan was a rural Democrat who ran twice for president. He lost both times. But Bryan remained popular among many traditional Americans. Bryan told his followers that the theory of evolution was evil, because it challenged the traditional idea that God created the world in six days. He accused scientists of violating God's words in the Bible. Bryan and his supporters called on local school officials to ban the teaching of evolution. Some state legislatures in the more conservative southeastern part of the country passed laws making it a crime to teach evolution theory. KAY GALLANT: In nineteen twenty-five, a young science teacher in the southern state of Tennessee challenged the state's new teaching law. The teacher -- John Scopes -- taught Darwin's evolution ideas. Officials arrested scopes and put him on trial. Some of the nation's greatest lawyers rushed to Tennessee to defend the young teacher. They believed the state had violated his right to free speech. And they thought Tennessee's law againt teaching evolution was foolish in a modern, scientific society. America's most famous lawyer, Clarence Darrow, became the leader of Scopes' defense team. Bryan and other religious conservatives also rushed to the trial. They supported the right of the state of Tennessee to ban the teaching of evolution. The trial was held in the small town of Dayton, Tennessee. Hundreds of people came to watch: religious conservatives, free speech supporters, newsmen and others. The high point of the trial came when Bryan himself sat before the court. Lawyer Clarence Darrow asked Bryan question after question about the bible and about science. How did Bryan know the Bible is true. Did God really create the earth in a single day. Is a day in the Bible twenty-four hours. Or can it mean a million years. HARRY MONROE: Bryan answered the questions. But he showed a great lack of knowledge about modern science. The judge found Scopes guilty of breaking the law. But in the battle of ideas, science defeated conservatism. And a higher court later ruled that Scopes was not guilty. The Scopes evolution trial captured the imagination of Americans. The issue was not really whether one young teacher was innocent or guilty of breaking a law. The real question was the struggle for America's spirit between the forces of modern ideas and those of traditional rural conservatism. The trial represented this larger conflict. KAY GALLANT: American society was changing in many important ways during the early part of the twentieth century. It was not yet the world superpower that it would become after World War Two. But neither was it a traditional rural society of conservative farmers and clergy. The nineteen twenties were a period of growth, of change and of struggle between the old and new values.